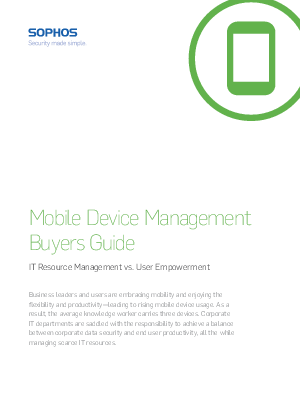 An essential part of BYOD is allowing users to choose their preferred devices and platforms. According to recent research, the mobile market has quickly become a three-way race with Android and iOS commanding more than 80% of market share and Windows 8 Phone gaining momentum. Standardizing mobile platform can potentially reduce IT complexity but with this trend, it is not likely to happen in the near future. The platform diversity only exacerbates IT’s resource issue. Many IT professionals are evaluation mobile device management (MDM) systems to help them managing BYOD and shield them from the complexity.